Million Street – that’s the name of the street that we drove along as we drove into the middle of nowhere. with only a sea of sand surrounding us. 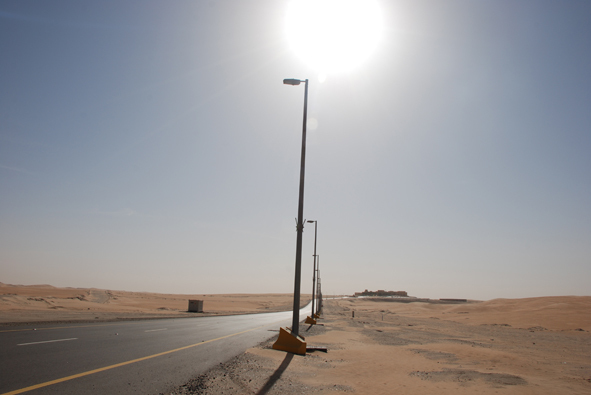 In mid December every year, thousands of camel owners from the UAE and various GCC countries flock to this place near Zayed City in the western region of Abu Dhabi. Amidst huge sand dunes of Rub al-khali desert, these camels participate in the ‘Mazayen’ festival or the camel beauty contest. Transactions worth millions of UAE Dirhams take place, camels are bought and sold – their worth running into millions of Dirhams depending upon their beauty. 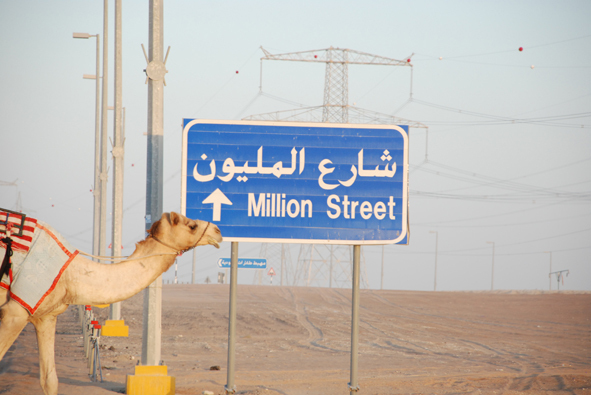 Hence, the peculiar name – Million Street. Camel manors are located along the sides of the Million Street so that the beauty and desirability of these camels don’t wane away with the dust and grime of the desert and harshness of the desert sun and they can be nurtured to look their best once the festival sets in. It is estimated that camel deals worth more than more than 200 million Dirhams were made over the past seasons of the festival. And a charming and an authentic camel can fetch up to 10 million Dirhams! Barren beauty has it’s own charm. The sun seems to glare more through the clear uninterrupted blue skies and the sand has a better silvery shimmer to it. 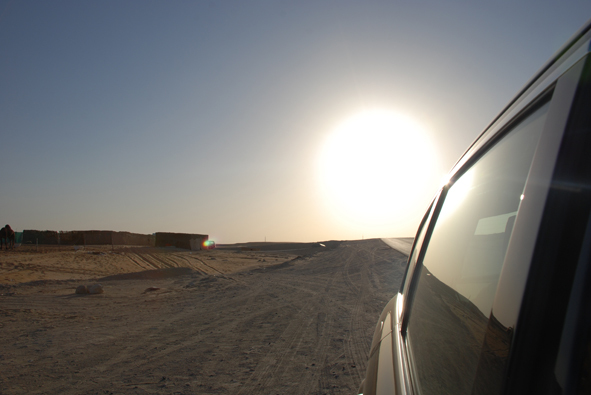 And as we drove into the horizon along the rolling sand dunes of Rub al-khali desert, we were transported into the middle of nowhere. Transacted millions of moments of solitude under brazen sun-rays and amidst the sea of sand – listening to our own heart beats after a very long time!